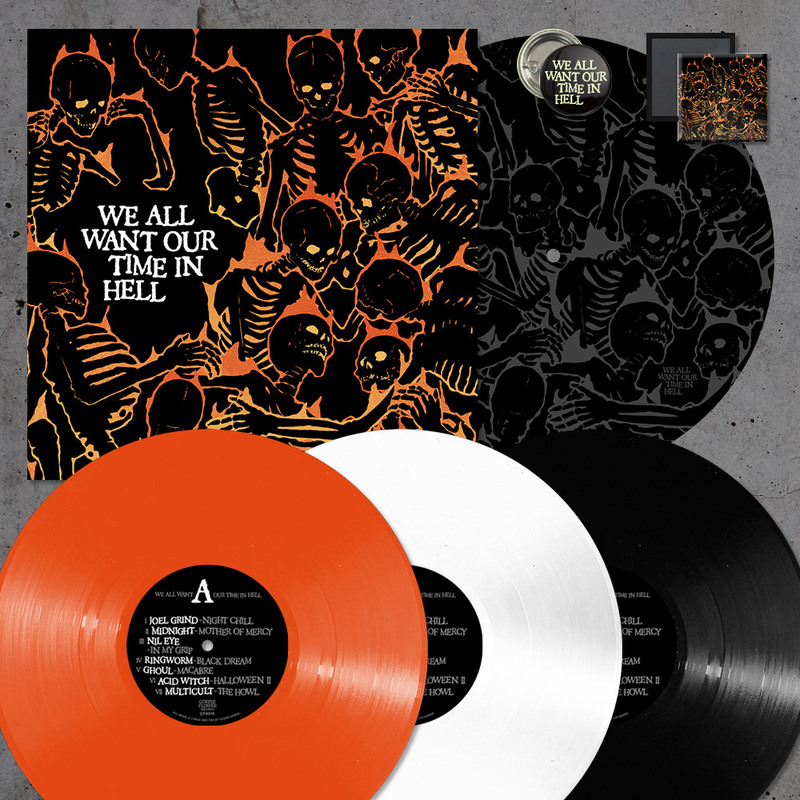 We All Want Our Time In Hell, a vinyl-only tribute to underrated ‘80s goth punk icons Samhain, is set for release this May via Corpse Flower Records. The limited-edition, forty-minute collection features brand new recordings from Joel Grind, Midnight, Nil Eye, Ringworm, Ghoul, Acid Witch, Multicult, Like Rats, Shed The Skin, Immortal Bird, Child Bite, Brain Tentacles, and Ritual Howls, all united under a cult like appreciation for Samhain. Read more and hear Midnight’s cover of “Mother Of Mercy” at THIS LOCATION. We All Want Our Time In Hell was mastered by James Plotkin (OLD, Scorn, Khanate, Khlyst et al), and will be limited to three-hundred copies in three color variants (black, white, and orange) via Corpse Flower Records on May 4th. For preorders, go to THIS LOCATION.